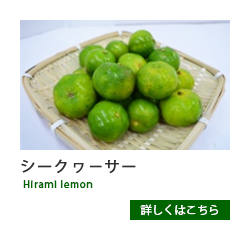 People has eaten "seakwa-sa"as common citrus in Okinawa from ancient. 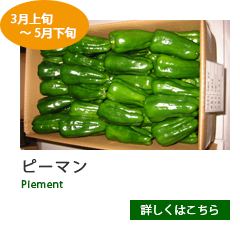 It includes a lot of nobiletin which effects good for protection of sugar diabtes. 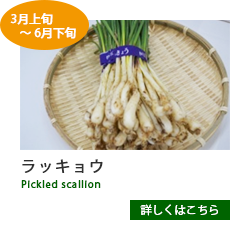 For this reason,in all of Japan people are very interesting in "seakwa-sa". 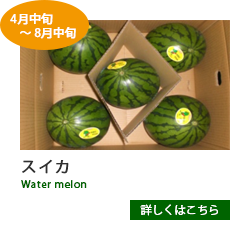 We use "seakwa-sa" as mandalin orange vinegar for unripe fruit,as vegetables & fruits or processing for mature fruits. 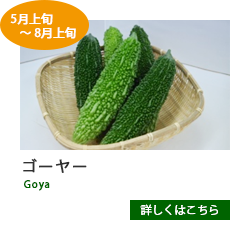 "Na-be-ra-"is summer vegetable as Goya".2weeks after blooming,we eat young fruit.There are lots of vitaminC,B1,mineral,calotin and antioxidative effect. 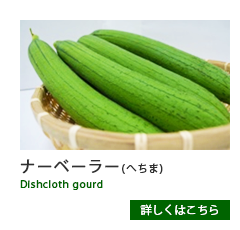 It has lots of water,we eat all of nutrient from cooking.People love to eat dishcloth gourt as boil,fried,soup.It effects good for diuretic,heat cool,dropsy. 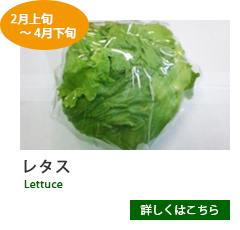 In Okinawa area from ancient,we call "handama"[leaf of ground/leaf of perpetual youth and longevity. 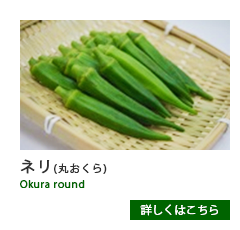 People ate "handama"as folk medicine when tired to eat or infuse stalks. 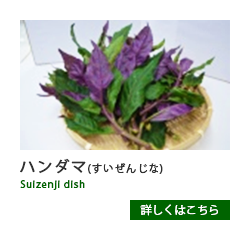 There are vitaminB2,A,iron,and also polyphenol from purplish red leaf. 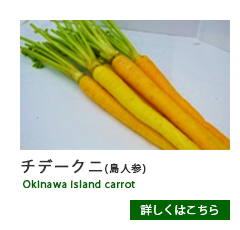 "okura"has vitaminA,C,potassium,and very popular as high nutritive value. 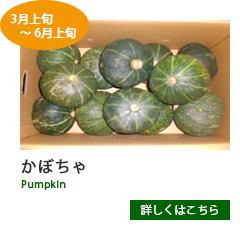 Inside slime there are pectin,vegetable fiber,glyco protein which work intestinal regulation.Specially this "maru-okura"has lots of slim and soft to eat easy. 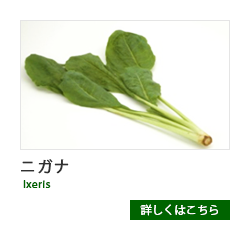 Ixeris is high nutrient,in Okinawa people ate as protection of cold from Ryukyu dynasty.There are vitaminC,A,calcium,potassium.Usually cook as soup, kakiage tempura,or cut leaf into thin strips with dressed tofu & peanut butter. 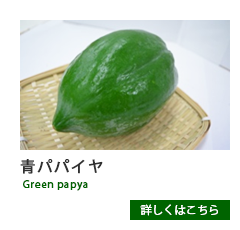 In Okinawa people ate green papaya as a vegetable from ancient.There are lots of vitaminA,C,calium.In southeast asia people ate green papya for protection of the heat.Papaya enzyme analyze protein and fat,so it is attractive for going on diet.People say that Eating papaya can recover physical strength and can have more mother's milk. 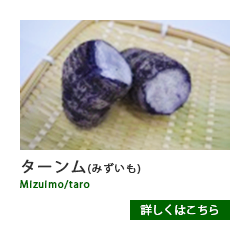 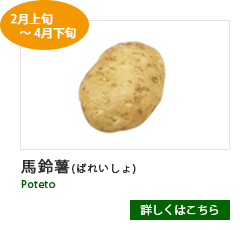 Because of increasing child of potato inside paddy field,"taro"is very popular vegetable using in New Year's,Bon festival as lucky charm of giving descendants prospread.There are lots of starch,also calium,calcium,iron,vitaminA,C. 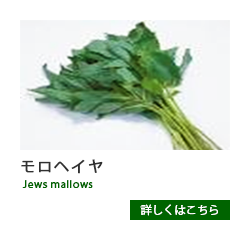 They eat "Mooui" as soaked with black sugar,dressed with sesami,pickled dish in Okinawa. 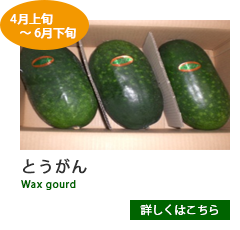 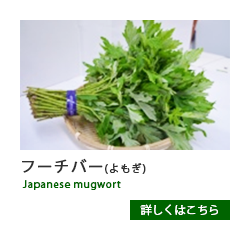 "Mooui" is very important summer vegetable which against strong wind even the typhoon. 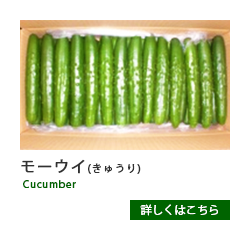 "Mooui is very similar to cucumber,but more firm fresh and no glassy smelling.Includs water a lot,and vitaminC,calium also. 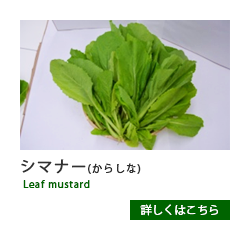 We call leaf mustard pickled in salt "chikina-"in Okinawa. 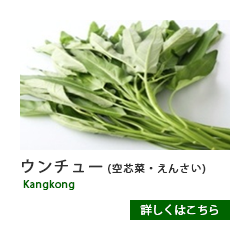 As name hot taste is characteristic.The hot taste of "chikina-"ismade by ingredient of resovling sinigrin,and disolve promotion of appetite,dyspepsia,indigestion,dull feeling in the stomach,and protection of gastric ulcer. 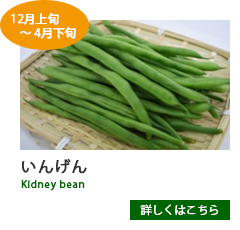 There are calotin,vitaminA,C,E,and lots of mineral of iron and calcium, it is good vegetable for coerrection of anemia. 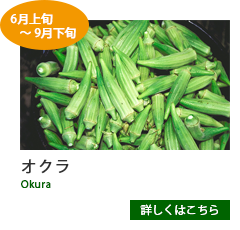 We can enjoy the hot taste and rich nutritional value of "chikina-"cooked as boiled,stir-fried,miso soup,etc. 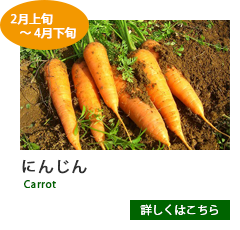 Copyright (C) naniwa-0831 All rights reserved.